Tampa, FL (12/05/2018)-- An on-site, free, community enrollment event to help consumers learn more about their coverage options through the Federal Health Insurance Marketplace will be held 10 a.m. to 3 p.m., December 15, 2018, at the University of South Florida Navigator Office located at 3500 East Fletcher Avenue, Suite 530, Tampa, FL 33613. USF Navigators will be able to assist people with Health Insurance Marketplace enrollment or plan renewals. Navigators will offer education about Marketplace insurance, assist individuals and families with coverage choices, and guide those interested in enrolling through the application process. USF Florida Covering Kids & Families (FL-CKF) was awarded a $1.25 million Navigator grant for the 2018-2019 enrollment period. FL-CKF works with 5 consortium partners across the state to help those who want assistance understanding and enrolling in healthcare coverage available through the Health Insurance Marketplace. The last date to enroll for coverage that begins January 1, 2019, and the final day that 2018 enrollees can change policies before being “auto-reenrolled” in their previous health care coverage plans, is December 15, 2018. Enrollment event walk-ins are welcome, but scheduled appointments are highly recommended. For more information or to schedule an appointment for this event or any other time before the deadline on December 15th, please call toll-free (877) 813-9115. Free parking is available on site. Due to building renovations, we kindly request that you park in the back of the building (west side), and enter through the door located in the center of the building. The project described was supported by Funding Opportunity Number NAVCA180333-01-00from the U.S. Department of Health & Human Services, Centers for Medicare & Medicaid Services. The contents provided are solely the responsibility of the authors and do not necessarily represent the official views of HHS or any of its agencies. Less than 2 weeks remain for Marketplace Open Enrollment! The story of Open Enrollment 6 (OE6) so far is that, despite mixed messaging, consumer confusion and dire budget cuts, Floridians are still demanding affordable and accessible health care. Jodi Ray, Director of Florida Covering Kids & Families, (FL-CKF) a community and consumer-focused nonprofit initiative of The Chiles Center, based in the College of Public Health at the University of South Florida, has been telling anyone listening of our concerns that the sixth year of Affordable Care Act enrollment and outreach programs in Florida was facing critical shortages in both manpower and outreach funds. Despite those concerns, Floridians are still signing up and that is a very encouraging sign…but there remains much work to be done until the December 15th deadline for Open Enrollment. Covering Florida is frequently called upon as an expert in health insurance coverage and health literacy for its ability to reach out to diverse audiences and educate consumers about health insurance coverage and utilization including options under the Affordable Care Act, Children’s Health Insurance Program (CHIP), and Medicaid. Covering Florida reaches consumers through partner organizations and collaborates with hundreds of organizations, many of which provide direct service to thousands of health care consumers. The organization focuses largely on advocating for and increasing access to care and services via enrollment for individuals with limited English proficiency, individuals with disabilities, populations underserved in the current private health insurance market, and vulnerable populations by employing multi-lingual Navigators, producing brochures in multiple languages, conducting workshops, and providing interviews in various languages. Tampa, FL (10/30/2018) -- COVERING FLORIDA will provide an on-site, free, community outreach and enrollment event to help consumers learn more about their coverage options through the Federal Health Insurance Marketplace from 10 a.m. to 3 p.m., THURSDAY, November 1, 2018, at the USF Marshall Student Center, 4103 USF Cedar Circle, Tampa, FL 33620. Navigators from USF Florida Covering Kids & Families (FL-CKF), joined by those from The Family Healthcare Foundation, will be able to assist people with Health Insurance Marketplace enrollment or renewals. Navigators will offer education about Marketplace insurance, assist individuals and families with coverage choices and guide those interested in enrolling through the application process. FL-CKF was awarded a $1.25 million Navigator grant for the 2018-2019 enrollment period. FL- CKF works with 5 consortium partners across the state to help those who want assistance understanding and enrolling in healthcare coverage available through the Health Insurance Marketplace. The last date to enroll for coverage that begins January 1, 2019 and the final day that 2018 enrollees can change policies before being “auto re-enrolled” in their previous health care coverage plans is December 15, 2018. Enrollment event walk-ins are welcome, but registration is recommended because parking is limited. For more information or to register, please call toll-free (877) 813-9115. There will be very limited free parking spaces within Lot 3B off USF Holly Drive. These spaces will be marked off as reserved for this event only. Visitors parking on the USF-Tampa campus are required to purchase a daily parking permit. Parking pay station is located off USF Cedar Drive, Lot 5A. Daily parking for the Marshall Center is located within the Crescent Hill Parking Garage or Lot 3B and 3C off USF Holly Drive. There is also a sheltered Bull Runner Stop USF Cedar Circle, immediately in front of the Marshall Center. from the U.S. Department of Health & Human Services, Centers for Medicare & Medicaid Services. The contents provided are solely the responsibility of the authors and do not necessarily represent the official views of HHS or any of its agencies. Jodi Ray, Director of Florida Covering Kids & Families, (FL-CKF) a community and consumer-focused nonprofit initiative of The Chiles Center, based in the College of Public Health at the University of South Florida, announced today that her organization has received a $1.25 million dollar award from the US Health and Human Service (HHS) Centers for Medicare & Medicaid Services (CMS) for a sixth year of Affordable Care Act enrollment and outreach programs, for the current project year beginning September 13, 2018. On September 12, 2018, CMS released the funding announcement for the Federal Health Insurance Marketplace Navigators for 2018-2019, which reduced national funding to $10 million, and Florida’s funding to $1.25 million. This represents a 75% reduction for the FL-CKF statewide project from last year’s funding amount. The funding reduction has resulted in the elimination of a number of longstanding partners in the consortium and Navigators across the state. Additional online and telephonic assistance will hopefully allow the Covering Florida consortium to cover the anticipated demand for enrollment services. Research and experience shows that consumers are twice as likely to successfully enroll having in-person assistance as those who have attempted online without help. In addition, historically underserved communities have relied more on in-person assistance. Covering Florida is now the only CMS funded Navigator organization in the entire state of Florida. Open Enrollment begins on November 1st this year and continues until December 15th for those needing coverage beginning January 1st, 2019. The 2019 Open Enrollment window will again be limited this year to six-weeks, so consumers need to be made aware of the earlier deadline. As the Florida summer heats up, all of our Navigators at Covering Florida are still working long hours, helping consumers who have experienced a qualifying life event and become eligible for Affordable Care Act Marketplace Insurance coverage during the current Special Enrollment period (click for eligibility opportunities!). They are hosting and staffing events throughout the state virtually every day of the week, doing community outreach, answering questions that both new and existing consumers may have, and helping existing clients and new clients to solve problems and maintain their financial data. Covering Florida Navigators are making sure they can do all that they can to keep Florida families covered for their health care needs. At the same time, our Covering Florida team is anxiously awaiting news and details from our Washington D.C. partner agencies to determine what is in store for us for the fast approaching 6th year of Open Enrollment, or OE6 as we call it around the offices. We’re also looking back at the success of our Covering Florida Navigators over the past 5 years of Open Enrollment. Success comes in many forms. Usually it means that a person or team of people exceeded a certain goal. Sometimes just duplicating or coming close to a previous effort can be seen as successful, particularly when there are challenges added to the mix. During the 3-month OE4 period, Florida was a national leader in successfully enrolling 1,760,025 million consumers for ACA Marketplace health insurance coverage. After that successful year, as planning for OE5 was underway, we were informed that the time frame for Open Enrollment was being cut in half. We then learned of deep budget and outreach program cuts that would necessarily result in less personnel going into the new enrollment year. We also learned of insurer rate hikes due to the changing landscape. 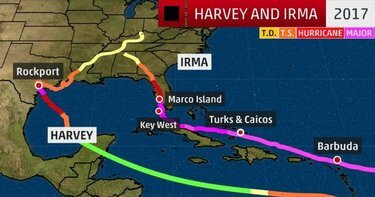 Facing tremendous challenges like these left many wondering how on earth the Covering Florida team could effectively meet its goals in getting Florida consumers the coverage they would need for 2018. The Navigator teams at Covering Florida responded to these challenges by turning them into opportunity. We built new alliances with activist groups who wanted to make sure healthcare remained affordable and accessible. Media partners in Florida doubled down to help us get the word out. A big effort was made to expand our social media outreach and push for earned media to help us tell the story that we had to tell. Local Navigator groups around Florida worked harder and for longer hours to get the job done with less team members on board. Open Enrollment 5 for 2018 coverage began on November 1, 2017 and ended December 15, 2017, although residents in Florida and a few other areas actually had until March 31, 2018 to enroll, due to the hurricane-related special enrollment period. The results of all that hard work, time and effort paid off royally: 1,715,227 people enrolled in plans through the Florida exchange during the OE5 period for 2018 coverage. Although this is slightly lower than the state’s 2017 enrollment, it is still by far the highest in the country. We are looking forward to continuing that success in securing health care for Florida’s consumers in 2019, in spite of the potential roadblocks. As Covering Florida’s Navigators await their marching orders for OE6, we continue to reach out to more potential community partners, to Florida elected officials from DC and Tallahassee right down to our towns and villages, and to health care organizations, making sure they are aware of the success of our program over the last 5 years. We are always seeking additional resources and support for our outreach efforts, because reaching consumers in the face of often conflicting news about the future of the Affordable Care Act is an uphill battle we face every day. Stay tuned for more developments soon! About Covering Florida: Florida Covering Kids & Families is the lead entity for a Cooperative Agreement with U.S. Department of Health and Human Services (HHS) to provide Navigator services throughout Florida. FL-CKF is a community and consumer-focused non-profit initiative of The Lawton and Rhea Chiles Center for Healthy Mothers and Babies, based in the College of Public Health at the University of South Florida. Learn more here. Certain Floridians who submitted an application within the last two weeks of December 2017, but were not determined eligible for Special Enrollment (SEP) at that time, will be eligible for this new SEP. Details are below, but feel free to contact us at Covering Florida 877-813-9115 for assistance if needed. On September 28, 2017, CMS released guidance about a Special Enrollment Period (SEP) and other flexibilities that were available for consumers affected by Hurricanes and hurricane-related weather events that occurred in 2017. The guidance included information about an Exceptional Circumstance SEP that allowed affected consumers to select a 2018 Marketplace plan or make changes to their existing 2018 plan from December 16 to December 31, 2017. CMS has identified consumers who were erroneously denied access to this Exceptional Circumstances SEP and is notifying these consumers of eligibility for another SEP due to the error or misrepresentation of the Marketplace. These consumers will be able to select a 2018 Marketplace plan or make changes to their existing 2018 plan by May 24, 2018. Coverage accessed under this SEP will begin June 1st or July 1st, depending on the date the consumer selects their plan. Consumers wishing to access coverage prior to June 1st must file an appeal within 90 days of the date of SEP Eligibility Notice. Who is eligible?Individuals who attested to residing in an area affected by a 2017 hurricane or hurricane related event who submitted an application within the last two weeks of December, but were not determined eligible for an SEP at that time, will be eligible for this new SEP. Per the September 28, 2017 guidance, an area is considered affected if it is a county meeting the level of “individual assistance” or “public assistance” by the Federal Emergency Management Agency (FEMA). What documentation is needed?CMS has identified the population eligible for this SEP within Marketplace systems so that they can be easily identified by the Marketplace Call Center representatives and other CMS officials. Anyone eligible for this SEP will receive a hard copy notice of this SEP in the mail. CMS will not require the submission of any documentation to prove eligibility for this SEP.
Steps to helping a consumer access this SEP:Eligible consumers can access this SEP directly through HealthCare.gov or through the Marketplace Call Center. 1. Log into their Marketplace account. 4. Select your current application. You’ll see steps to continue to enrollment for anyone who was eligible to buy a 2018 Marketplace plan. Note: Consumers will not be able to access this SEP through HealthCare.gov if they make changes to their online application. If a consumer has had changes to their application since they last applied, like changes to household income or family size, they should call the Marketplace Call Center at 1-800-318-2596 to update their information and enroll. The Centers for Medicare & Medicaid Services (CMS) announced additional opportunities for individuals affected by the 2017 hurricanes in Puerto Rico and the U.S. Virgin Islands to enroll in Medicare health and drug plans and health coverage through the Federal Health Insurance Exchange. CMS is providing these special enrollment periods so that certain individuals and families who were impacted can access health coverage on the Exchange and have additional time to join, drop, or switch Medicare health and prescription drug plans. CMS announced initial special enrollment period opportunities in September, this extends these opportunities through March 31, 2018. Marketplace Open Enrollment ended for Florida health care consumers on December 31, after an extended period allowed due to the hurricane impacts on Florida and other areas. Our Covering Florida Navigators are still working throughout the state and can assist consumers with contacting the Marketplace Exchange Call Center. Our Navigators can also provide education and outreach to groups wishing to help in outreach efforts to those individuals and families who may be eligible for this extended opportunity. Covering Florida Navigators continue to provide information and direct assistance to those Florida health care consumers who are or who may become eligible for health care coverage during the ongoing Special Enrollment Period (SEP) continuing through the fall of 2018. SEP is a time outside of the open enrollment period during which you and your family have a right to sign up for health coverage. Individuals qualify for a SEP if you have experienced any of the following life events, including, but not limited to, losing health coverage, moving, getting married, having a baby, or adopting a child. In most cases, the SEP is open for 60 days following the triggering event and everyone in the family will qualify for an SEP if any one member of a family loses their coverage. Thank You for Helping Us Help Enroll 1.7 Million Floridians Again! A lot more Floridians than we expected are going to have peace of mind and one less worry because they enrolled for Affordable Care Act Marketplace coverage during the six weeks of Open Enrollment. Figures released yesterday by HHS show that Florida again led the way in enrollments among Affordable Care Act Marketplace states with 1.7 Million consumers . The 1.7 Million figure matched last year’s total enrollment, an achievement that no one had expectations of happening. "Hearing that we matched last year’s total of 1.7 Million Floridians is amazing and proves not just how hard everyone worked to help as many consumers as feasibly possible, but just how great the need is and the personal desire to have health care coverage is to Floridians and Americans across the country. The fact that our statewide consortium was able to help achieve those numbers in half the time and in spite of serious budget cuts is in large part due to the help received from our partners, including the University of South Florida, CBS Community Partnerships, Get America Covered, Young Invincibles, League of Women Voters, traditional and social media outlets, statewide & local advocacy groups and grassroots activists and individuals. Thank you to everyone who committed to getting their friends, family and communities covered and stepped up and reached those people who now have 2018 coverage. Take a minute during the upcoming holiday period to sit back and appreciate this success you helped achieve. Covering Florida wishes everyone a VERY HEALTHY 2018!! " Because of the Hurricane season impacts, Floridians can still get covered and be able to enjoy a healthier 2018 before the Hurricane Special Enrollment opportunity ends on December 31 st . Exceptional Circumstances (Hurricane) SEP Eligible individuals may contact the Marketplace Call Center at 1-800-318-2596 or TTY at 1-855-889-4325 to request enrollment using this SEP after December 15, 2017. Since all of Florida’s counties were impacted by Hurricanes this season, consumers must need only verbally attest that they were impacted in and/or relocated to one of those counties due to living in an area that was provided assistance by FEMA due to Hurricane Maria or Hurricane Irma. Consumers are not required to have had, or show proof of insurance for 60 days prior to the SEP. Documentation to support your attestation will not be required. As with all Health Insurance Marketplace plans, financial assistance may be available. Consumers who receive financial assistance will be required to file US Federal income taxes for 2018. For more information, call Covering Florida at 877-813-9115. About Covering Florida: Florida Covering Kids & Families is the lead entity for a Cooperative Agreement with U.S. Department of Health and Human Services (HHS) to provide Navigator services throughout Florida. FL-CKF is a community and consumer-focused non-profit initiative of The Lawton and Rhea Chiles Center for Healthy Mothers and Babies, based in the College of Public Health at the University of South Florida. Learn more here . The regular Open Enrollment deadline for Florida Marketplace consumers ends this year at midnight on December 15th. Because of the impact on Florida by Hurricanes Irma and Maria, Individuals attesting to residing in or moving from areas affected by a hurricane-related weather event in 2017 will be eligible for an Exceptional Circumstances SEP that extends the Health Insurance Marketplace 2018 Annual Open Enrollment Period through December 31, 2017. Consumers with questions can receive free and confidential assistance from a Covering Florida Navigator by calling (877) 813-9115 or scheduling an appointment online by visiting CoveringFlorida.org. Exceptional Circumstances SEP Eligible individuals may contact the Marketplace Call Center at 1-800-318-2596 or TTY at 1-855-889-4325 to request enrollment using this SEP after December 15, 2017.